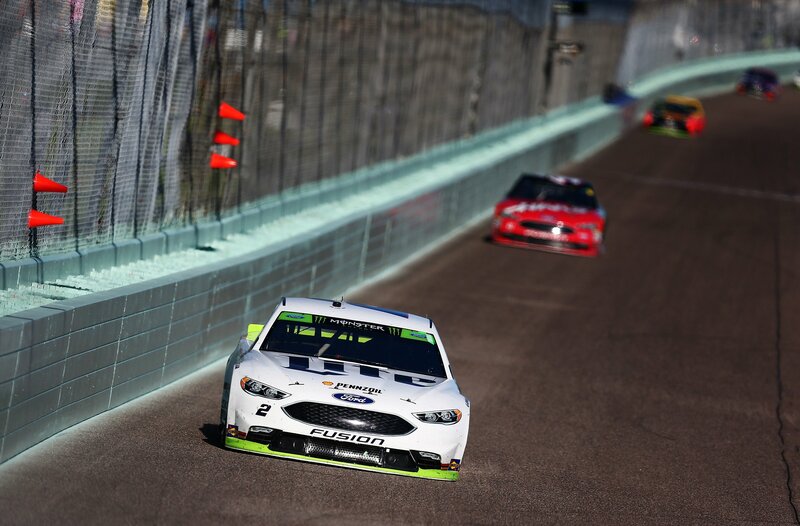 Two Monster Energy NASCAR Cup Series teams and one XFINITY Series team were assessed penalties following season-ending races at Homestead-Miami Speedway, according to the NASCAR penalty report released Tuesday. View the full Homestead penalty report below. According to sections 10.9.10.4 of the NASCAR Rule Book, the No. 20 Joe Gibbs Racing team of Matt Kenseth was assessed a penalty after officials found two lug nuts not properly installed during post-race inspection in Miami. As a result, crew chief Jason Ratcliff was suspended from the next Monster Energy Series event and received a $20,000 fine. Ratcliff will not have to serve the one-race suspension since he will move atop the pit box for the No. 20 Joe Gibbs Racing XFINITY team of Christopher Bell for the 2018 NASCAR Series season. The No. 2 Team Penske squad of Championship 4 contender Brad Keselowski was also penalized under sections 10.9.10.4 of the NASCAR Rule Book for a lug nut not properly installed. Crew chief Paul Wolfe was fined $10,000. The No. 16 Roush Fenway Racing team of Ryan Reed in the XFINITY Series was also assessed a penalty for lug nuts not secured, which saw crew chief Phil Gould receive a fine of $5,000.